HTC-Highroad wins Giro TTT. Menchov, Rodrigues lose time. Home/Alberto Contador, Astana, BMC, Denis Menchov, Garmin, Geox, Giro d'Italia, HTC-Highroad, Katusha, Liquigas-Cannondale, Mark Cavendish, Radio Shack, Saxo Bank, Sky/HTC-Highroad wins Giro TTT. Menchov, Rodrigues lose time. 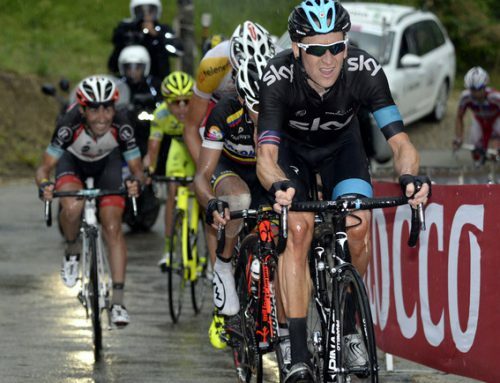 Pinotto beats Cav to line in Giro TTT. Talk about a stress test. The opening 19.3km team time trial for this year’s Giro d’Italian was packed with drama and wasn’t decided until the closing seconds. While it was almost a foregone conclusion that HTC-Highroad would win the opening stage, the tension was still jacked sky high. Would owner Bob Stapleton decide Mark Cavendish or Italian Marco Pinotti should wear the pink jersey? 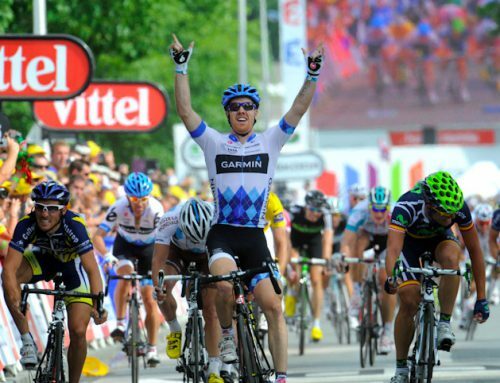 Would it be the loud, brash sprinter, the fastest man in the race, or the classy and intelligent rider from Lombardy? A tough call even for a billionaire CEO used to decisive action. In the press, Cavendish had said he wouldn’t mind the maglia rosa but team management seemed to be leaning the other way, toward Pinotti, riding in his country’s grand tour. Into the final stretch, Boy Racer was in front of Pinotti but by the finish line, it was the reigning Italian time trial champion who would take the honors, champagne and podium kisses. Whew, that was a close one. And the race for second place was on. Omega Pharma-Lotto set the early fast time at 21:21 before big name squads like Garmin-Cervelo, Team Sky, Saxo Bank and Liquigas rolled down the ramp in the Palace of Venaria. The lime green machine of Vincenzo Nibali put in a strong ride just 22 seconds back. Garmin-Cervelo lost a few riders, finishing with six and taking 5th place. Alberto Contador’s Screaming Eagles did a respectable performance, not blazing fast or bumbling slow, for 8th place. That’s enough for Alberto to feel tranquillo. Another happy Italian was Michele Scarponi of Lampre-ISD. While his name keeps popping up in the Padova doping investigation, his Lampre-ISD went full gas for sixth place. “Two seconds or six seconds might not count much at the end of the Giro but it’s not a bad feeling to be ahead of Contador,” said Scaponi. We’ll bet he’s keeping his hotel room really, really clean, too. Perhaps it was Radio Shack who delivered the biggest surprise. The second-to-last team to go, Johan Bruyneel’s team ripped the course apart, coming within 10 seconds of HTC-Highroad’s winning time. There are high hopes that young Tiago Machado can make the top 10 so consider stage 1 a ride in the right direction. Bjorn Selander also picked up the white jersey. Chapeau with a big red R on it. While the Giro celebrates 150 years of Italian unification, some teams clearly didn’t have it together. 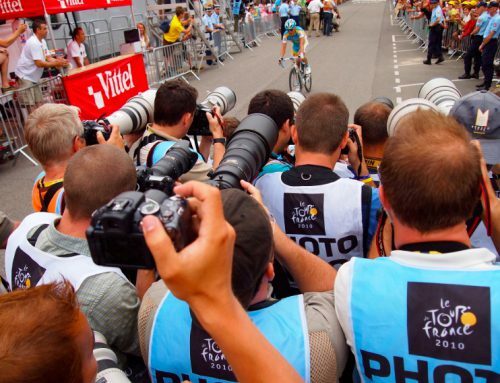 Katusha, the Russian Global Cycling Shindig! looked ragged, confused and uncomfortable on their time trial bikes. Road captain Danilo di Luca, Mr. 80%, has to get his boys organized. Their podium contender Joaquin Rodriguez already finds himself 1:04 off the pace. The Geox squad, home of the smoking iron footwear, also clocked a poor time. Denis Menchov has the support of Carlos Sastre in the mountains but recieved little today in Turin. An 18th place is not an encouraging effort for a team that’s targeted the Giro and not riding the Tour de France. Dead last but not least, the Men of Orange, Euskatel-Euskadi, Obla-di, Ob-lada. The Basque squad of Igor Anton left it all out on the race course — sadly, there wasn’t much to leave. Give them a mountain to climb and they’re happy, give them a flat time trial and they’re 23rd. No tapas tonight. Today, the Giro belonged to Marco Pinotti, a selfless rider, an outspoken critic of doping and a consumate professional. At 35 years of age, slipping on the maglia rosa must have been sweet indeed. We’re sure even Mark Cavenish is happy for him.